Jocelyn Downie teaches health care ethics and law as well as legal ethics and professional responsibility in the law school. 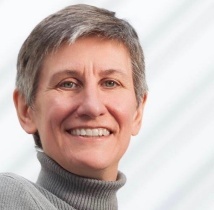 Jocelyn Downie works at the intersection of health care ethics, law, and policy. She has a particular interest in end-of-life law and women's health. Jocelyn Downie & Kate Scallion, “Foreseeably Unclear: The Meaning of the ‘Reasonably Foreseeable’ Criterion for Access to Medical Assistance in Dying in Canada” (forthcoming, Dalhousie Law Journal). Françoise Baylis & Jocelyn Downie, “Where There’s Smoke, There’s Pfizer” in Françoise Baylis and Alice Dreger, eds., Bioethics in Action (Cambridge University Press, 2018) 9-31. Jocelyn Downie & Richard Liu, “The Legal Status of Deep and Continuous Palliative Sedation Without Artificial Nutrition and Hydration” (2018) 12:1 McGill Journal of Law & Health 29-66. Jocelyn Downie, “Social Science and Humanities Evidence in Charter Litigation: Lessons from Carter v Canada (Attorney General)” (2018) 22:3 The International Journal of Evidence & Proof 305–313. Jocelyn Downie, “An Alternative to Medical Assistance in Dying? : The Legal Status of Voluntary Stopping Eating and Drinking (VSED)” (2018) 1:2 Canadian Journal of Bioethics 48-58. Ben White, Lindy Willmott, Jocelyn Downie, & Eliana Close, “Withholding and Withdrawing Potentially Life-Sustaining Treatment: Who Should Decide?” in Ian Freckelton ed., Tensions and Traumas in Health Law (Leichhardt, Australia: Federation Press, 2017) 454-478. Jocelyn Downie, “End of Life Law and Policy in Canada” in Joanna Erdman, Erin Nelson, & Vanessa Gruben, eds., Canadian Health Law and Policy 5th Edition (Toronto: LexisNexis Canada, 2017) 19: 453-477. Gina Bravo, Claudie Rodrigue, Marcel Arcand, Jocelyn Downie, Marie-France Dubois, Sharon Kaasalainen, Cees M. Hertogh, Sophie Pautex, & Lieve Van den Block, “Nurses’ Perspectives on Whether Medical Aid in Dying Should Be Accessible to Incompetent Patients with Dementia: Findings from a survey conducted in Quebec, Canada” (2017)Geriatric Nursing. Epub 2018 Jan 3. Gina Bravo, Claudie Rodrigue, Marcel Arcand, Jocelyn Downie, Marie-France Dubois, Sharon Kaasalainen, Cees M. Hertogh, Sophie Pautex, & Lieve Van den Block, “Are Informal Caregivers of Persons with Dementia open to Extending Medical Aid in Dying to Incompetent Patients? Findings from a survey conducted in Quebec, Canada” (2017) Alzheimer Disease & Associated Disorders. Epub 2017 Dec 27. Gina Bravo, Claudie Rodrigue, Vincent Thériault, Marcel Arcand, Jocelyn Downie, Marie-France Dubois, Sharon Kaasalainen, Cees M Hertogh, Sophie Pautex, & Lieve Van den Block, “Should Medical Assistance in Dying Be Extended to Incompetent Patients With Dementia? Research Protocol of a Survey Among Four Groups of Stakeholders From Quebec, Canada” (2017) 13:6(11) Research Protocols:e208. Epub 2017 Nov 13. Jocelyn Downie & Francoise Baylis, “A Test for Freedom of Conscience under the Canadian Charter of Rights and Freedoms: Regulating and Litigating Conscientious Refusals in Health Care” (2017) 11:1 McGill Journal of Law & Health S1. Matthew Lowe & Jocelyn Downie, “Does Legalization of Medical Assistance in Dying Affect Rates of Non-Assisted Suicide?” (25 May 2017) Open Volume 10 Journal of Ethics in Mental Health 1-9. Jocelyn Downie & Justine Dembo, “Medical Assistance in Dying and Mental Illness under the New Canadian law” (18 November 2016) Open Volume 10 Journal of Ethics in Mental Health 1-9. Jocelyn Downie, Lindy Willmott, & Ben White, “Next Up: A Proposal for Values-Based Law Reform on Unilateral With-Holdings and Withdrawal of Potentially Life-Sustaining Treatment” (2016) 54:3 Alberta Law Review 803-829. Jocelyn Downie, “‘And Miles to Go Before I Sleep’: The Future of End of Life Law and Policy in Canada” (2016) 39:2 Dalhousie Law Journal 413-430. Jocelyn Downie, “Permitting Voluntary Euthanasia and Assisted Suicide: Law Reform Pathways for Common Law Jurisdictions” (2016) 16:1 QUT Law Review 84-112. Jocelyn Downie & Kacie Oliver, “Medical Certificates of Death: First Principles and Established Practice Provide Answers to New Questions” (2016) 188:1 Canadian Medical Association Journal 49-52.